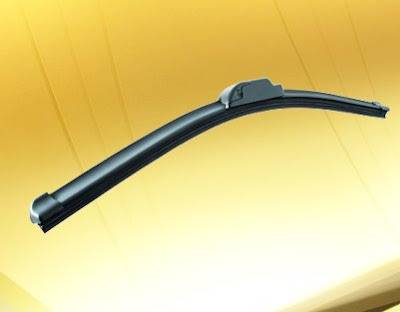 PIAA Trebasso Wiper, a new product released in Malaysia. An aerodynamic design wiper, elegance looks and it is another perfect option for car lover who wanted to change their existing wiper and replace it with. This wiper is frameless, hook style only and easy to install, even girl can do it. Available in size of 14", 15", 16", 17", 18", 19", 20", 21", 22", 24" & 26", black finishing. Trebasso wipers are at affordable price and are great for those on a budget and looking for a great performance wiper. Feel free to Contact us to know more details. Let's Tour. We Just Launch!!! Welcome to tjm.products official blog. It is more than great to meet you here. We always keep our blog door open to welcome your ideas, comments, product review and feedback that related to CAR. Let us begin the tour. First, you can reach our website by entering http://www.tjm.com.my/. Once you reach our website, a sporty look, maroon colour website just in front of you. “TJM Products Sdn Bhd established in 1996 with the principle of import and distributing premium automotive products with supplier mainly origin from Japan, USA, Korea and Taiwan. Through out the years we have serve our dealers and customers well with our sales expertise in the field of products training, sales consultation and most importantly we look after clients with our value added after sales and services. We have extended our products range from”… more About us or click the first button at the top of the site. Our products range from automotive lighting, wiper, car security system electronic tuning products, car fragrances and quality general accessories. We deal directly with each brand manufacturer. With our strong technical backup from our principal, we believe that we will solve any enquiry arise first in time. For your information, all our genuine E&E car products come with official warranty. You can have a look at all our branded product by just clicking the second top button or Products here. You can purchase our products online. We do provides secure online payment using credit card or you can choose to transfer payment via Maybank2u (5142-3545-7386) or Hong Leong Online (003-00-133392). Please make sure your order before you checkout the shopping cart. Once we receive your order and payment, we will make a call to confirm your order and validate your shipping information. All our products shipped using Skynet. Besides, you can visit our dealers all around in Malaysia. They are automotive expertise and do provide professional explanation about our products to end customers. Where can I find them? It’s here, Dealer info. That's our tour for this time. More info, products updates and promotion COMING SOON. You can contact us at 03-7984 7844 (Mon-Fri, 9am – 6pm) or email us info@tjm.com.my for more enquiries. See you on next blogissue.